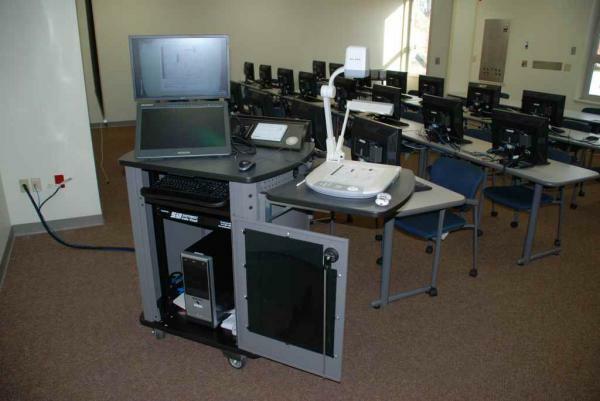 We recently completed outfitting several classrooms for an Illinois based customer. 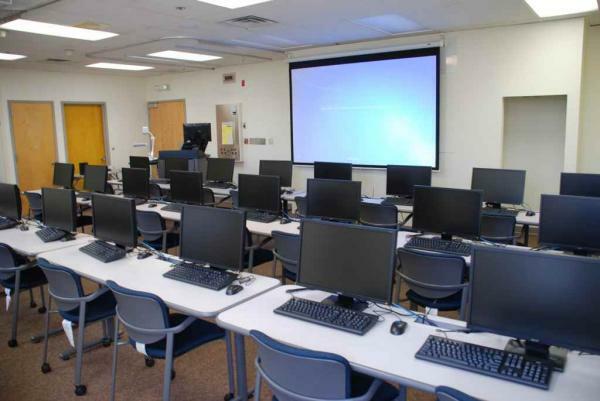 The custom designed A-V systems allow for each room to be identically equipped to insure operational consistency for the instructors. 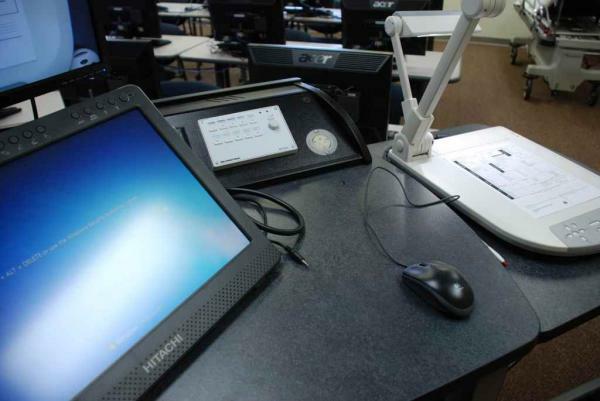 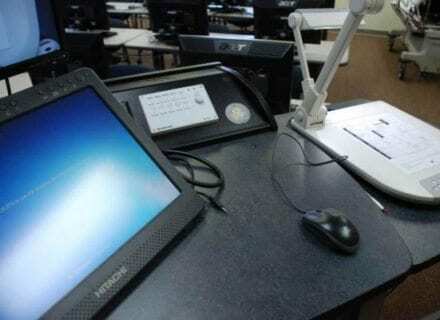 To further ease of use, the classroom A-V systems feature Crestron controls which are mounted into the instructor’s A-V presentation carts, along with a large annotation monitor which can be controlled via wireless pen. 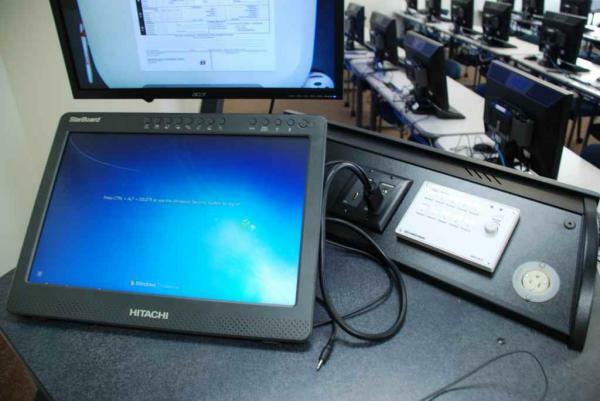 The annotation monitor allows the instructor to write over any application which is being ran on the instructor’s desktop PC. 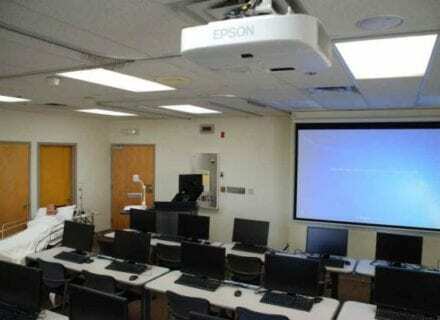 Additionally the instructor can white out their annotation monitor and use it as a virtual whiteboard which is displayed via the projector onto the projection screen. 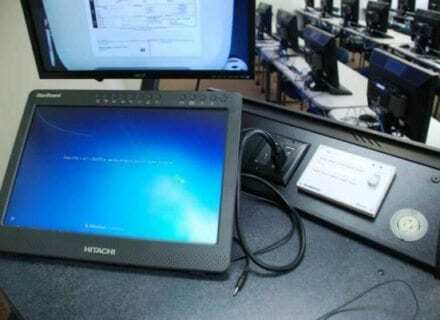 Both the whiteboard’s digital ink produced writings and/or any annotations made over applications being taught can be saved by the instructor and recalled at later date, or used to instruct a different class of students if desired. 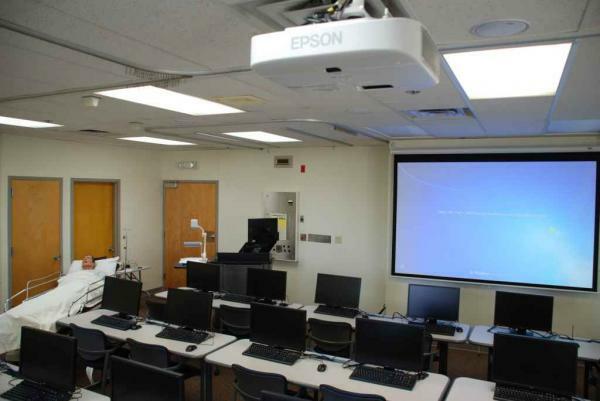 The ceiling mounted high brightness HD projector is installed in conjunction with a wide format projection screen to insure compatibility with guest lecturers who often desire to bring in their own widescreen laptops for connection into the system. 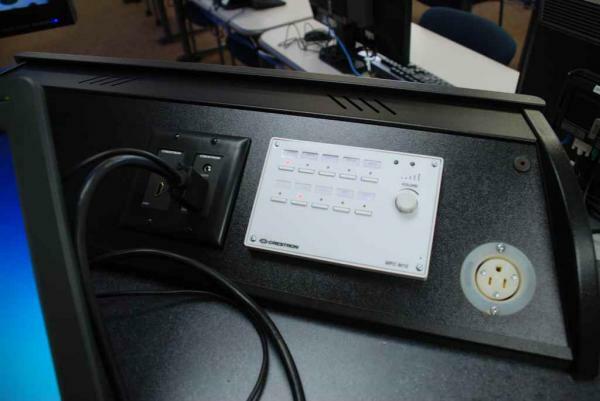 The system can accept analog VGA or digital HDMI signals. 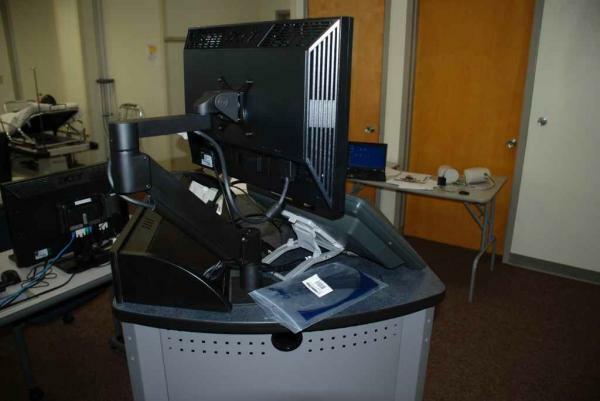 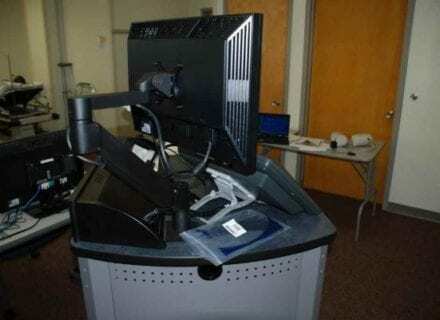 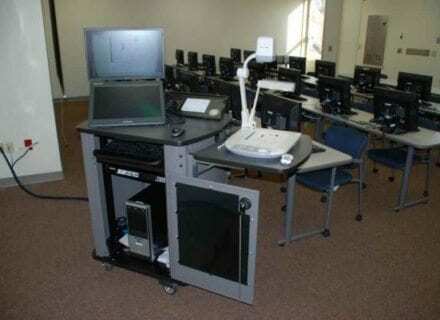 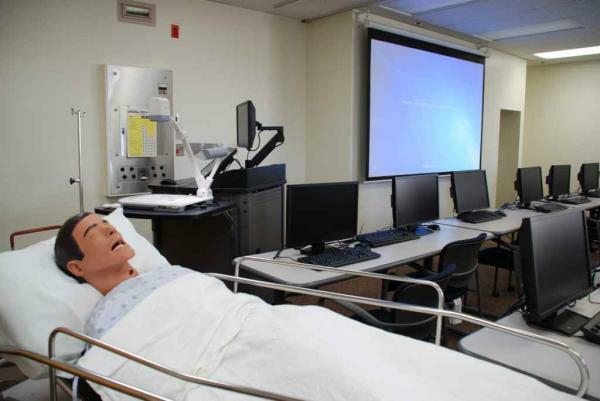 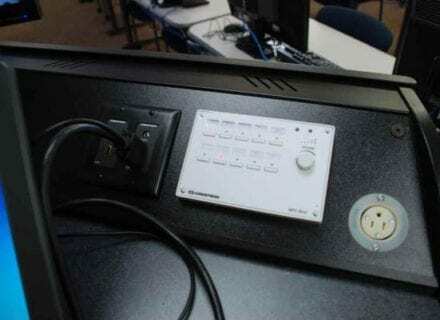 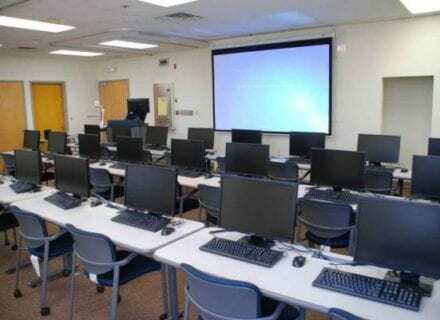 Including a multi-speaker ceiling tile sound system, the A-V system rounds out with inclusion a digital HD document camera as an additional source at the instructor’s disposal.